Home / All Posts / University Alternative, MOOC; An Interview. 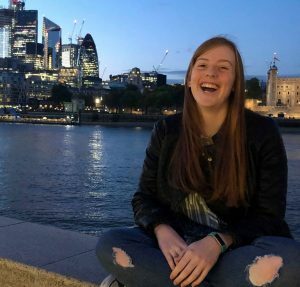 Welcome back everyone, I have another interview style post for you today, this one is with the amazing Victoria Austin who talks all about an alternative choice to traditional University. Victoria discusses the courses she studies online with MOOC (Massive Open Online Course) but I’ll let her explain it properly! Hope you enjoy and this is certainly the ideal post if you’re a little unsure about whether University is for you. “Hi, my name is Victoria Austin and I’m a lifestyle blogger from Devon. I enjoy gardening in my spare time and I also make lifestyle related videos to go on my YouTube channel. Learning is something I’ve been passionate about from a young age, to the point I used to be nicknamed the human sponge, so read on to find out more about the learning I’ve done online and off over the years. I first discovered MOOCs from universities in 2014 and the first ever course I did on FutureLearn, I ended up becoming a Mentor when the course ran again a year later. If you haven’t heard of a MOOC before it stands for Massive Open Online Course, they are often provided by universities to study for free (though some have optional paid upgrades like extended learning time, tests, certificates). If you haven’t made the grades for university of if you’ve simply decided you want to go another route then this post might be useful for you. The courses are often short introductory courses run over a number of weeks with the recommended weekly study time varying per course as well. There are a lot of different platforms out there, you just have to put MOOC into Google and loads of different sites pop up, there is such a variety of courses from universities all over the world. (How cool do those courses sound? – Imogen). “I’ve done other courses too via The Open University’s free learning platform OpenLearn, I studied a selection of Law courses on there as well as another Psychology one! In my opinion not everything needs an official certificate to be relevant. I haven’t just done online courses, I’ve always been a bit of a self learner, I studied bookkeeping and maths from books but if we rewind a moment this whole self learning thing started before that, I also started teaching myself HTML & CSS coding back when I was a teenager, another great skill to put on the CV! I did try proper university, not at a bricks uni but online, it wasn’t really right for me though, I felt it was too structured and left after a month. I didn’t actually do A Levels either, so instead a few years ago I spent time reading the classic novels I might have read if I had studied English at A Level, and more, which I think if that’s something you enjoy then that is also a great thing to do in your quest to becoming a self educated, well rounded learner. I’m not sure courses like MOOC’s are well known, I mean I’ve seen them in at least one magazine but times are changing, technology is playing an ever bigger part in our day to day lives so why not learn on the go too? I think these courses are amazing how available they can be to everyone, they don’t have a massive list of prerequisites like a lot of standard university courses usually have. I’ve really enjoyed being able to study such a variety of courses, plus of course it helps that I love learning! Even though they aren’t usually accredited the online courses can be listed on your CV which is a definite positive, potential employers have been very positive about them too. Keep up to date with Victoria through her Blog, Twitter and Youtube – she’s helped me from the beginning of my blogging journey so show her some love! Next ArticleThe Making Of Harry Potter – Warner Bros. Studio Tour. I have never heard of this site but I love learning and I will definitely try it out! Ahh that’s amazing! Hope you enjoy the experience! I’ve never heard of MOOC before, but it sounds great! What an amazing way to learn a bit about various things before fully deciding what direction you want to go in, or simply to learn more about a topic you’re interested in! I know, sounds too good to be true right? To think you can do such a vast amount of courses in all ranges of subjects is amazing! Wish people knew more about the opportunity! Never heard of MOOC but it sounds like such a cool program, definitely going to check it out. I love the idea of studying different things just to get an idea of what your more into! I tried a few MOOC once before but I was so busy with life and enrolled in quite a bit that I didn’t complete all the courses. I want to try again but just enrolled in 2 or 3 courses per semester. Let me know if you try again, I’m sure you’ll do fab! Thank you. Fantastic post! More awareness is needed for students regarding the options they have to further their education outside of the traditional paths. Thanks for sharing! Thank you so much, I agree, so much emphasis is placed upon normal brick uni’s the other routes go ignored! This is so awesome I definitely want to check this out! This is awesome and so helpful thanks! Okay, Victoria, you are a serious rockstar having taken all those cool courses! And Imogen, this series is so interesting. Kudos to you for making it happen and showing people that they don’t need to go the traditional route to learn things they are passionate about. Isn’t she just? Thank you so much, there’s so much pressure on University the ‘normal’ way so I want people to see it’s not just like that! I have never heard of MOOC’s, I am going to mention it to my husband as hes always toying with the idea of trying something new and this would be a great way of him getting a taste of something! Thanks Victoria!!! Wow Victoria has done so many amazing courses! This was brought up at my induction day yesterday at uni- I’m doing a part time practice educator course for social work so this is timely and helpful! I know, I’m so glad I interviewed her as she has done some fabulous courses and a wide range too! Ooh that sounds good, wish you all the best for it.